Japanese industrial manufacturers eased their way into the car business throughout the 1950s and 1960s, and the cars that appeared were generally tiny, well-built machines with safe designs that looked like cars you'd already seen from England. Not so the Toyota 2000GT, which debuted at the Tokyo Motor Show in 1965. Though originally designed by Albrect Goertz (of BMW 507 fame) for Nissan, that carmaker objected to the costs involved in producing it. But with a style and stance unlike any previous Japanese offering, the 2000GT was a statement car. 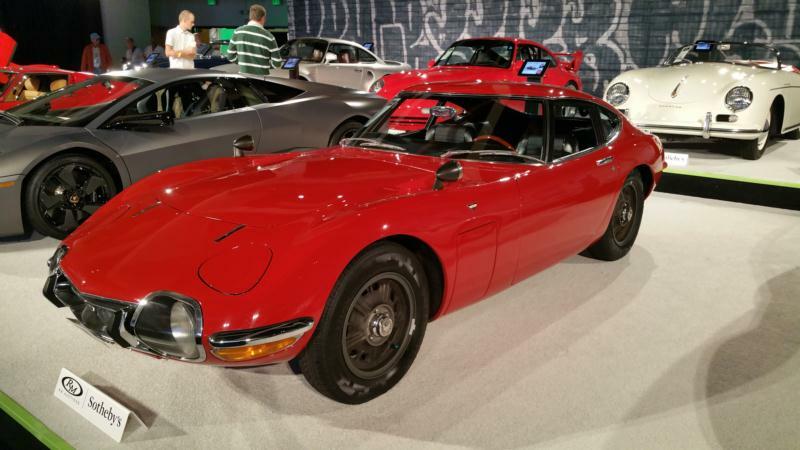 Though badged as a Toyota, the 2000GT was in reality a joint effort with Yamaha, and the cars were developed and built by the latter. Tucked within its curvaceous aluminum body was a two-liter, twin-cam inline-six that breathed through three Mikuni-Solex carbs. A five-speed synchromesh manual transmission put 150 horsepower to the rear wheels and the car could top 130 mph. Braking came courtesy of four-wheel discs behind magnesium alloy wheels, and suspension was independent all around. Most of the cars carried the DOHC set-up, but nine SOHC 2.3-liter models were also produced. Just 337 examples were built in three years, as Toyota quickly encountered the cost factors that originally drove Nissan away from the project. With a retail price in the U.S. of over $7,000, they cost more than established players like the Jaguar E-Type, Porsche 911, and Chevrolet Corvette. Consequently, only about 60 were imported. Changes during production were few and far between, though cars built in 1969 had a slightly revised nose and taillights. The 2000GT was certainly up to par with the rest of the world's sports car in its performance, however, and a handful were developed by Carroll Shelby for racing in America. But in the end, Toyota chose to focus on the heart of its line-up—namely, family sedans—and they pulled the plug. 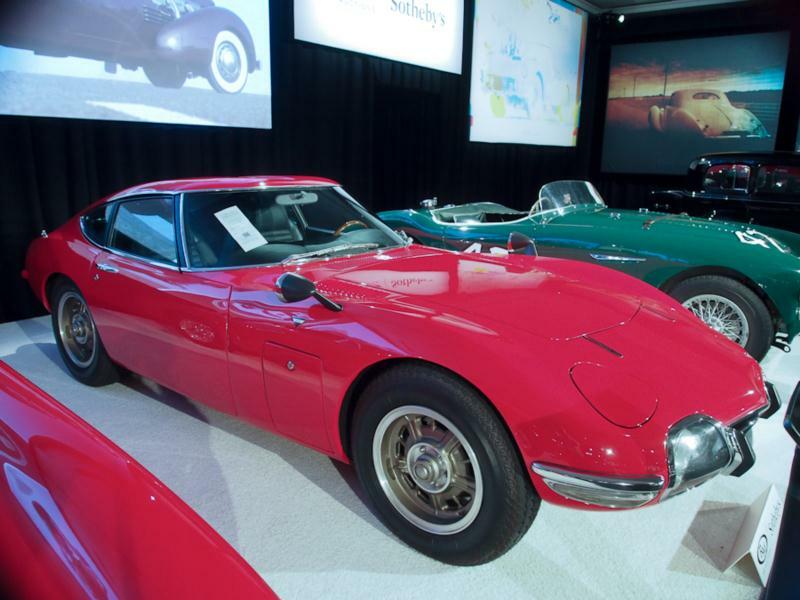 Though the Toyota 2000GT was short-lived, it now carries a legacy of innovation and sophistication and is regarded as the first Japanese supercar.